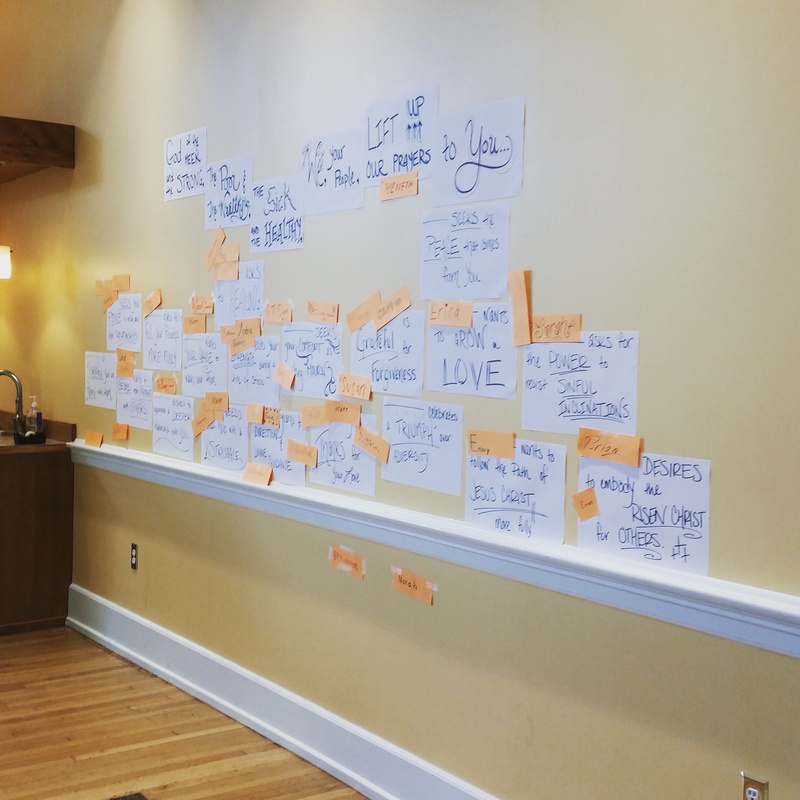 Yesterday I shared a new way of praying we practiced in the Emergent Worship service I lead in my church. The next week after we did the individual Mad Libs prayer cards, we did a corporate Mad Libs prayer. This time each person was invited to take a strip of card stock and write their name upon it. Decoration and personalization were encouraged. 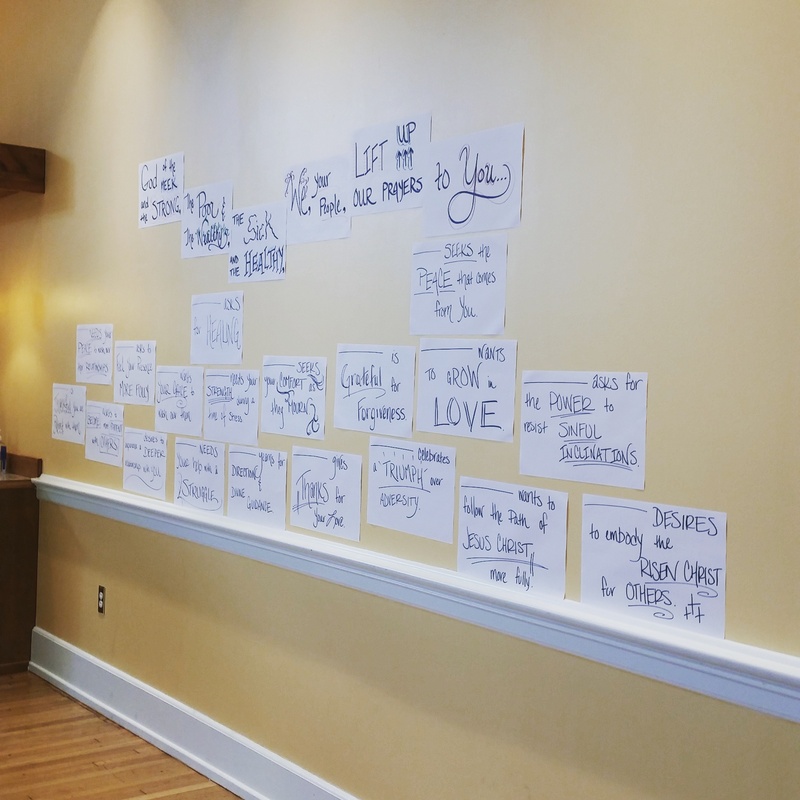 The prayer text was posted on the wall, and people were invited to add their name wherever they wanted. __________ needs your peace to wash over their relationships. __________ is thankful you are patient with them. __________ asks to feel your presence more fully. __________ wants to become more patient with others. __________ desires to experience a deeper relationship with you. __________ wants your grace to wash over them. __________ needs your help with a struggle. __________ needs your strength during a time of stress. __________ yearns for direction and divine guidance. __________ seeks your comfort as they mourn. __________ is grateful for forgiveness. __________ gives thanks for your love. __________ celebrates a triumph over adversity. __________ seeks the peace that comes from you. __________ wants to grow in love. __________ wants to follow the path of Jesus Christ more fully. __________ asks for the power to resist sinful inclinations. __________ desires to embody the Risen Christ for others. All the people say amen. I love this prayer method and hope to use it soon at a church committee meeting. Thanks for sharing this idea!